Large 3D logos can be made from polystyrene with a vinyl card face. Logos in 3D are an ideal method of advertising inside shops. Hanging from ceilings or fixed to walls. An example of one of the logos supplied to a London Departme nt store. The logo was 1700mm x 770mm x 400mm thick, matt vinyl faced with grey painted sides and back. 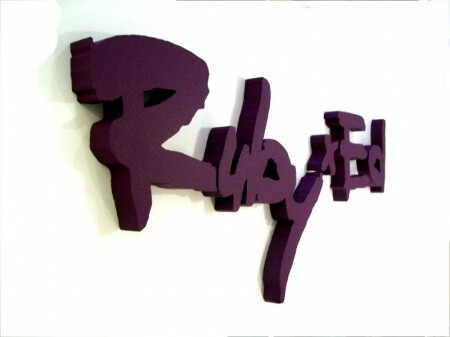 Painted styrofoam is a great way of producing 3d logos for displays and exhibitions as well as for shop displays. 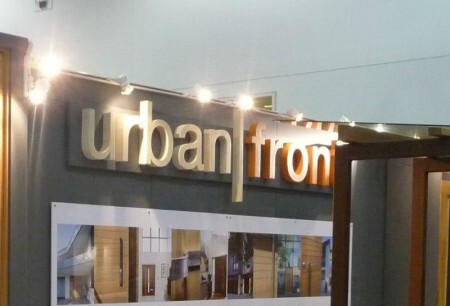 Urban Front 3D Exhibition Signs 2012. 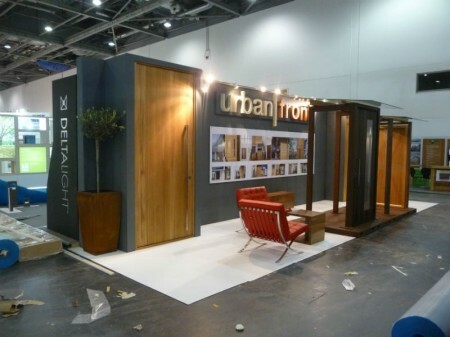 Urban Front was at the exhibition at EcoBuild stand S915 on 20, 21, 22 March 2012.